A Doodle is f.e. a Google Logo modification and/or humorous feature, such as cartoon modification for use on holidays, birthdays of famous people, and major events. ... and the Frazy doodle from the video in your Browser at the official Google Doodle Moog website. Record, play and share your own music link. :-). 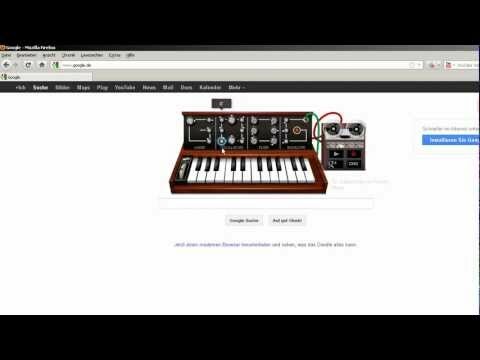 Google Moog Synthesizer recording time is limited to 20 seconds. So i played just the first notes of the song Frazy. Listen to the Frazy original in full length.